A 24-year old Palestinian farmer was wounded in the foot by Israeli forces stationed at a watchtower along the Israeli border with Gaza while the farmer was tending his field. The ‘no go zone’ established by the Israeli military next to the border was extended by Israeli troops to further encroach onto Palestinian farmlands and orchards following the Israeli assault on Gaza in summer 2014. The farmer was not identified, but the injury was confirmed by the spokesman for the Palestinian Ministry of Heath Ashraf al-Qidra, who said that the wounded man was taken to al-Shifa hospital in Gaza City for treatment. This marks the second wounding of a Palestinian farmer by live Israeli gunfire from the border in 2015. A 25-year old man was shot in both feet by Israeli troops on January 2nd. Israeli forces have established a policy of shooting live rounds at anyone deemed to have entered the ‘no go zone’, despite the fact that this zone includes numerous Palestinian farms and fields. 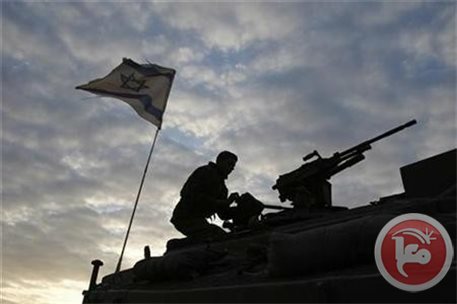 The Israeli Occupation Forces (IOF) opened machine gun fire Friday evening in two incidents across the borders of Gaza, injuring a young Palestinian man. Spokesman for health ministry Ashraf Qudra confirmed that a 24-year-old young man was shot late Friday by Israeli forces east of Beit Lahiya to the north of the besieged Strip. The injured was taken to al-Shifa hospital suffering from foot wounds. Earlier Friday, Israeli forces opened intermittent gunfire at Palestinian farmers while tending to their agricultural lands near Qarara town to the north-east of Khan Younis in southern Gaza Strip. No injuries were reported during the attack, local sources said. In total violation of the Gaza ceasefire agreement reached on August 26, Israeli soldiers open fire across the borders almost every day after Palestinians allegedly come too close to the border fence. In many cases Palestinian farmers have been killed or injured in their own agricultural lands. Two months ago four protestors were injured at this peaceful demonstration, adding to a long list of villagers who have been hurt or killed by Israeli military bullets whilst trying to fight for their rights. The army have been using live ammunition at this group of families and demonstrators more and more frequently during the last year. So, the villagers’ weekly demonstration to struggle for their most basic rights – land and water – has been reduced to a short walk to become the target of bullets. Each week villagers risk their lives because they will never accept the theft of their land. Each week they are shot at because they want access to the spring which has been the source of life for their community for generations. The Israeli occupation forces (IOF) stormed at dawn Friday a number of towns in Jenin city to the north of occupied West Bank and carried out combing operations. Local sources said that Israeli troops aboard military vehicles raided and patrolled different neighborhoods in the city in the early morning hours. IOF troops also raided Zabuba town to the west of the city and established a makeshift checkpoint at its entrance where they stopped and searched passing cars. Agricultural areas were searched during the campaign, according to local sources. Meanwhile, Israeli special forces were deployed at dawn today in Hassan Valley area between Kafr Dan and Yamun towns and stayed there for several hours before leaving the area. 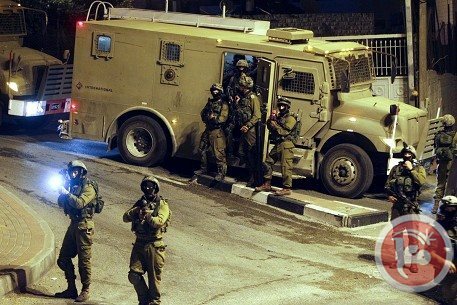 The Israeli occupation forces (IOF) kidnapped at dawn Friday six Palestinian citizens from their homes in different West Bank areas. Israeli media sources claimed that six wanted Palestinians were nabbed today including three accused of carrying out alleged attacks against Israelis. In Jenin, local sources confirmed that Israeli forces stole a large amount of money and jewelry from a family after breaking into its home in Sannur town south of Jenin. 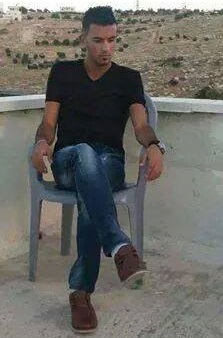 The sources explained that a large number of Israeli troops stormed Sannur and kidnapped 24-year-old Mohamed Safi from his parents' home. They added that the soldiers ransacked the house and stole 23,000 shekels, about 7,000 dollars, as well as gold jewelry belonging to Mohamed's sister-in-law. In a separate incident, clashes broke out in Bartaa town, located behind the separation wall, when Israeli troops stormed the local market in the town. According to eyewitnesses, the confrontations started when Israeli soldiers raided shops and attacked owners and workers. Many citizens suffered from inhaling tear gas during the events. 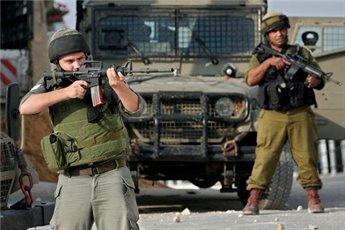 Patrols of the Israeli occupation army on Thursday evening stormed Dura town, in the southern West Bank city of al-Khalil. Over five Israeli military jeeps raided Dura’s neighborhoods of al-Namous and al-Madaris near the headquarters of the Palestinian Authority preventive forces, locals told the PIC. The Israeli army jeeps patrolled the area. No arrests have been reported during the campaign. Later, the Israeli army patrols moved to the nearby town Beit Awa, to the West of al-Khalil, according to local sources, who expected that the invading troops might make arrests there. Approximately ten Israeli settlers stormed Wednesday a secondary school in Tur neighborhood in occupied Jerusalem and fired tear gas and sound bombs into it under Israeli police protection. Head of the follow-up committee in Tur neighborhood Mufid Abu Ghannam confirmed that ten Jewish settlers stormed the school Wednesday afternoon while the students were leaving their classes. The students panicked at the attack and started shouting and screaming, forcing the settlers and soldiers to withdraw from the school amid heavy fire of tear gas bombs. Israeli forces, in their turn, fired heavy volleys of live bullets into the air to scare the students, he added. Beit Orot settlers have twice tried to break into the school on previous days; however the local residents confronted them and forced them to withdraw, Abu Ghannam pointed out. Meanwhile, Israeli forces stormed under heavy tear gas bombs the nearby girls' elementary school under the pretext of looking for a wanted person. Israeli troops shot and injured a young Palestinian man during a raid on Jenin refugee camp in the northern West Bank at early Thursday morning. Palestinian security sources and locals told Ma'an that fierce clashes broke out between the Israeli soldiers and local youths when the soldiers stormed the camp and detained four young men. During the clashes, an Israeli soldier shot and injured 23-year-old Ahmad Jarbou who works at Jenin public hospital. Young Palestinians hurled stones and empty bottles at the invading soldiers who fired tear-gas canisters, stun grenades and rubber-coated bullets as well as live ammunition. The sources added that Israeli soldiers detained Alaa Addin Abd al-Hafith, 20, Yahya Bassam al-Saadi in his 20s, Ahmad Said al-Saadi, 37, and Raed Ahmad Tawalbah in his 20s. Qasim Ragheb al-Saadi was detained and released a few hours later. An Israeli army spokeswoman did not immediately return a call seeking comment. Israeli troops stationed in towers along the borders with the southern Gaza Strip near Khan Younis opened fire on Thursday at Palestinian fields while farmers were tending their lands, witnesses told Ma’an. The Israeli soldiers reportedly fired from heavy machine guns at Palestinian fields in the outskirts of Khuza, al-Farahin and al-Qarara in eastern Khan Younis. No injuries have been reported but the farmers were forced to immediately leave their fields. Israeli soldiers open fire across the borders almost every day because Palestinians allegedly come too close to a border fence. In many cases Palestinian farmers have been killed or injured. Separately, Israeli soldiers at Erez crossing in Beit Hanoun in the northern Gaza Strip detained a Gaza merchant as he tried to pass through the crossing. Locals identified him as Hassan Shirafi. Israeli soldiers shot and killed, on Wednesday evening, a Palestinian teenager from Yatta town, near the southern West Bank city of Hebron, and kidnapped his friend, while walking near the Etzion Junction, south of Bethlehem. Medical sources said the soldiers shot Osama ‘Ali Mohammad Abu Jundiyya, 17 years of age, seriously wounding him, and prevented a Palestinian ambulance that rushed to the scene from reaching him, before he died of his wounds. The soldiers also kidnapped Jundiyya’s friend, Mousa Jibrin an-Najjar, 20 years of age, and took him to the Etzion military base. The Israeli Police alleged the slain Palestinian, and his friend, attempted to attack a car of an Israeli settler at the junction, and that one of the soldiers opened fire at them. The Rahat Municipality, in the Negev, declared a general Strike Thursday after a Palestinian youth was shot dead by Israeli policemen afternoon Wednesday. Local medics declared the 20-year-old youth Sami al-Jaar dead after he succumbed to the wounds inflicted in the attack. A statement released by the Israeli police claimed that police patrols reached the neighborhood '25' as part of an anti-drug campaign. Clashes ensued after the policemen stormed the area. Unarmed Palestinian young men responded to the attack by hurling stones at the Israeli police officers, two among whom sustained minor wounds. The Israeli police expressed alleged doubt as to who were the real perpetrators of the shooting. Two young members of the casualty’s family were rushed to the Birzilai hospital to receive urgent treatment for the injuries they sustained in the attack. The assault culminated in the abduction of two Palestinian young men at the hands of the Israeli cops stationed in the area. The youth was killed in a brawl, the Israeli Yediot Ahronot newspaper claimed. The Rahat municipal staff declared a general strike in all institutions, except for schools and health services, and called for an immediate probe into the murder. The Arabs48 News Website has reported that the Israeli police shot and killed, on Wednesday evening, a young Palestinian man, and wounded two others, during clashes with local residents in Rahat city, in the Negev. It said Sami al-Ja’aar, 20 years of age, was shot and seriously wounded, and died of his wounds at the Barzelai hospital in Asqalan (Ashkelon). In a statement, the Israeli Police said it was operating against drugs in Basin #25 area, and clashes with local youths who hurled stones at them. 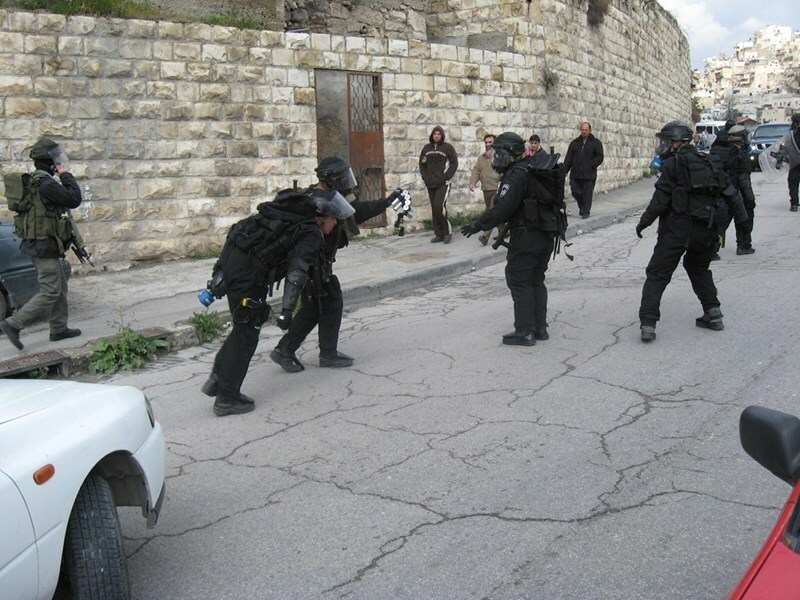 The army also moderately injured another Palestinian; two officers suffered mild injuries. The Police is alleging the sources of fire that killed al-Ja’aar was still unclear, and that the two wounded Palestinians are related to slain Palestinian. Dozens of military and police vehicles have been deployed in the area, especially around the Police station in Rahat, following the death of the Palestinian. The Rahat Local Council declared a strike that does not include schools and medical centers, on Thursday, and demanded the formation of a credible investigations committee. At least 19 Palestinian civilians were kidnapped by the Israeli occupation forces (IOF) during raids launched across the southern West Bank province of al-Khalil Wednesday and Tuesday. Sources based in Beit Ummar village, north of al-Khalil, said 18 Palestinians were rounded up by the IOF at dawn Wednesday while others were heavily beaten up moments after they were forced out of their homes and left shivering in cold air. Media spokesman for the anti-settlement committee in Beit Ummar, Mohamed Awad, said a large-scale military campaign targeted the town, resulting in a round of assaults on the natives’ family homes and the abduction of 18 Palestinians. At least three minors have been detected among the newly-captured citizens, mostly ranging between the ages of 16 and 28. Five Palestinian citizens, including a girl, sustained rubber bullet injuries and others were heavily assaulted in the violent confrontations that burst out during the campaign. Earlier on Tuesday, the IOF kidnapped a Palestinian youth following raids launched across al-Khalil. The IOF troops stormed the city via a drove of military jeeps and scoured Issa village moments before they broke into al-Mascoubiya church, in al-Jalda, locals told the PIC. The Israeli occupation patrols further raided al-Karmel village, east of Yatta town, where Palestinians’ IDs were provocatively inspected at a checkpoint randomly pitched by the IOF north of the village. The incursions culminated in the abduction of the Palestinian youth Saleh Ismail al-Badareem at the hands of the IOF, shortly after they scoured his family home and summoned the youth, along with his father and brother Mohamed, for interrogation. 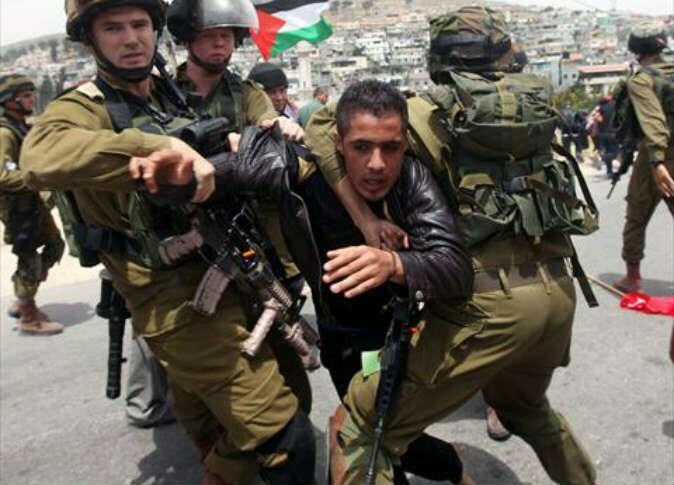 Over 12 Palestinian young men have reportedly been captured by the IOF throughout in a mass-abduction campaign launched across al-Samou’ town over the past few days. The IOF further broke into the Fawar refugee camp, south of al-Khalil city, using more than 20 army jeeps, allegedly after an explosion was heard near the Israeli illegal Hagai settlement. Four Palestinian young men were heavily beaten up by the Israeli army troops deployed at the main entrance of the camp. The Israeli Occupation Forces (IOF) raided the northern area of the besieged strip of Gaza on Tuesday evening. Eyewitnesses told a PIC reporter that a number of Israeli military vehicles advanced late yesterday to the east of the martyrs cemetery in Jabalia in northern Gaza Strip. The Israeli incursion was accompanied with heavy gunfire and overflights of reconnaissance drones in Gaza airspace, the sources added. The Israeli army has notably intensified violations of the ceasefire agreement reached on August 26, between the IOF and resistance factions in Gaza under Egyptian auspices. 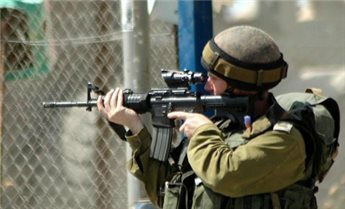 Medical sources in Hebron, in the southern part of the occupied West Bank, have reported on Tuesday evening that several Palestinians suffered the effects of tear gas inhalation, and one was shot by a rubber-coated metal bullet, during an Israeli military invasion into Beit Ummar town, north of the city. The sources said that all wounded Palestinians received treatment by local medics, and did not require hospitalization. 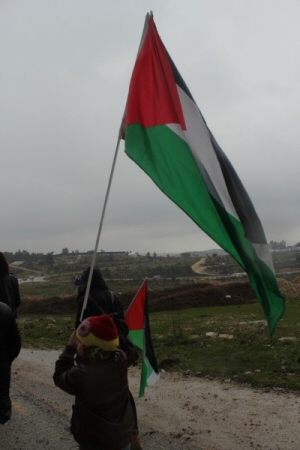 Media spokesperson of the Popular Committee against the Wall and Settlements in Beit Ummar, Mohammad Awad, said clashes took place in the ath-Thaher area, south of the town. He said the soldiers fired rubber-coated metal bullets and gas bombs at local youths during the clashes, and at a number of homes. In addition, several military jeeps invaded the al-Jabal area in the al-Fawwar refugee camp, south of Hebron, and fired concussion grenades at a number of homes; many children suffered anxiety attacks. Israeli forces, on Tuesday, opened fire at Palestinian farmers and bird hunters east of Khan Younis, said witnesses. Soldiers were deployed in vehicles along the border fence in the al-Fakhari area, southern Gaza Strip, where they fired at farmers. No injuries were reported, according to Ma'an News Agency. 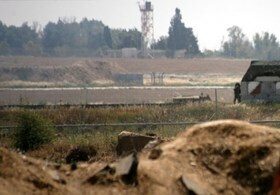 Ma'an further reports that, on Jan. 2, a 25-year-old man was shot in both feet from one of the watchtowers near the border with Israel, east of Jabaliya, in northern Gaza. Israeli forces frequently shoot at farmers and other civilians inside the Gaza Strip, should they approach the large swathes of land near the border which the Israeli military has deemed off-limits to Palestinians. According to the UNOCHA, 17 percent of Gaza's total land area and 35 percent of its agricultural land were within the buffer zone, as of 2010, directly affecting the lives and livelihoods of more than 100,000 Gazans. 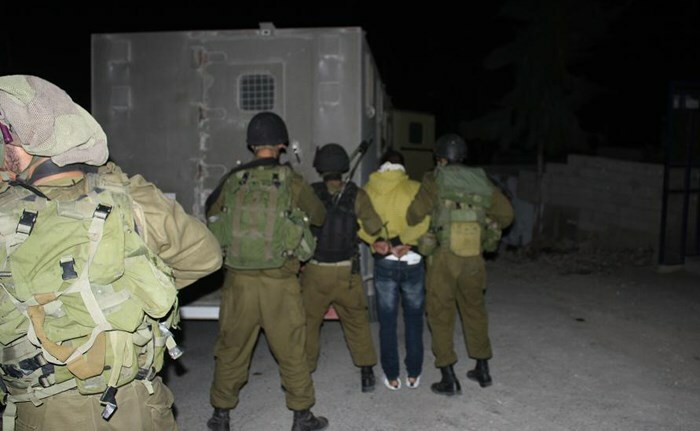 The Israeli occupation forces (IOF) at dawn Tuesday kidnapped eight Palestinians and handed others summonses from the Shin Bet during raids in different West Bank areas. According to local sources, the IOF stormed at an early hour today Asira village, north of Nablus city, and kidnapped four young men from their homes. The detainees were identified as Jamal al-Borini, Ahmed Shawli and the brothers Abbas and Amir Hamadneh. 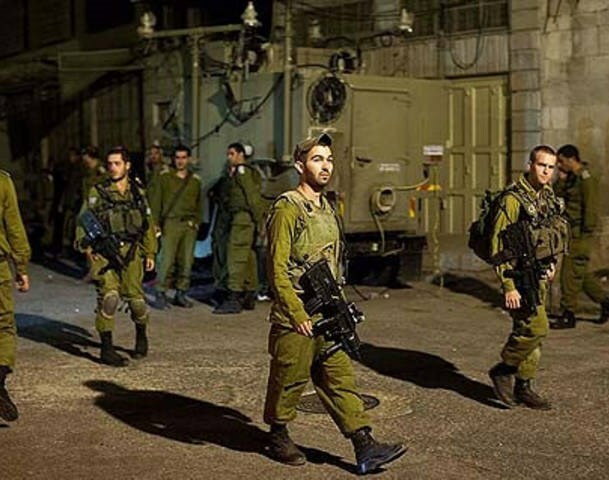 Meanwhile, another Israeli military force invaded different areas of Nablus city, and locals reported that Israeli soldiers fired stun and tear gas grenades with no known reason in some neighborhoods. The IOF also broke into and ransacked homes belonging to al-Shawahin family in al-Karmal area near Yatta town in al-Khalil province and forced their residents outdoors in the cold before withdrawing from the area without making arrests. In al-Khalil city, local sources reported that one young man named Abdul-Muti Abu Asab was kidnapped by Israeli soldiers after a dawn raid on his house in al-Ram district. Israeli media said the Israeli army arrested four wanted young men in al-Khalil and Bethlehem at dawn and took them in for interrogation. 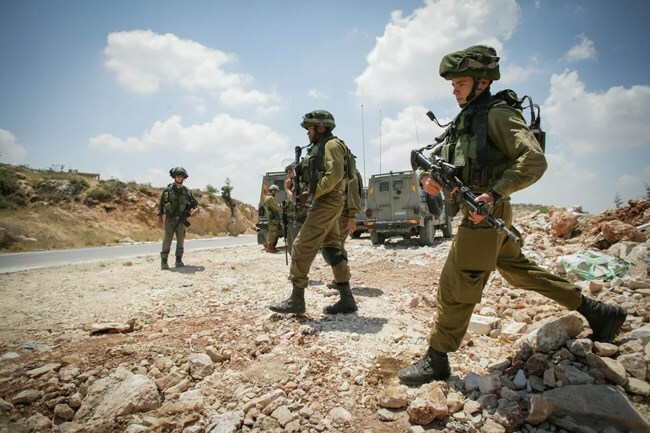 In other incidents, the IOF at an early morning hour stormed Silat al-Harithiya town, west of Jenin, and conducted field interrogations with citizens in its central zone. 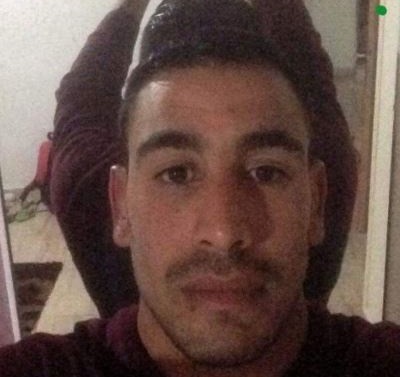 Israeli troops also stormed at dawn Jenin city and handed 23-year-old Mohamed Abu Alya and 21-year-old Mustafa Natour summonses for interrogation from the Shin Bet. The IOF campaign in Jenin city lasted for long hours during which the invading troops patrolled different neighborhoods and stormed homes. The Israeli Occupation Forces (IOF) carried out late Monday a large-scale raid campaign in different areas of Jenin and Tulkarem. Searches and ground investigation were reported during the raids. 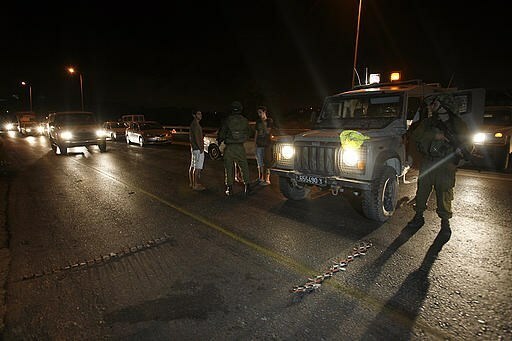 Eyewitnesses said that a military makeshift checkpoint was erected at Jenin-Nazareth road, where Palestinian vehicles were stopped and searched. A second checkpoint was set up near Daouk Valley to the south of the city. 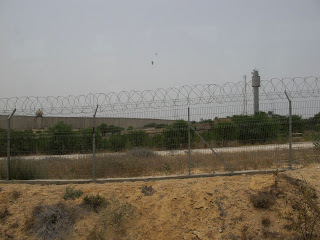 Large numbers of Israeli soldiers were also deployed in olive groves in the area. In Tulkarem, local sources reported that IOF soldiers broke into Ramin town, to the south of the city, and randomly investigated residents after detaining them outdoors despite the very cold weather.